This format puts your brand in front and gives you an intelligent way of breaking into a consumers direct eye line, combined with a creative visual makes a lasting impression. can fuel future purchases and increase brand awareness, with following motorists seeking a distraction from yet another inner-city standstill! Available as a stand-alone format or as part of your overall campaign, rear window taxi adverts let you target passengers, pedestrians and motorists at eye level and provide huge exposure of your brand. Our rear window ads use Contra Vision technology to ensure that the vision of the driver and those on board the taxi is not impaired. This is done without disrupting the solidity of the advert which is designed to cover every inch of the rear window. 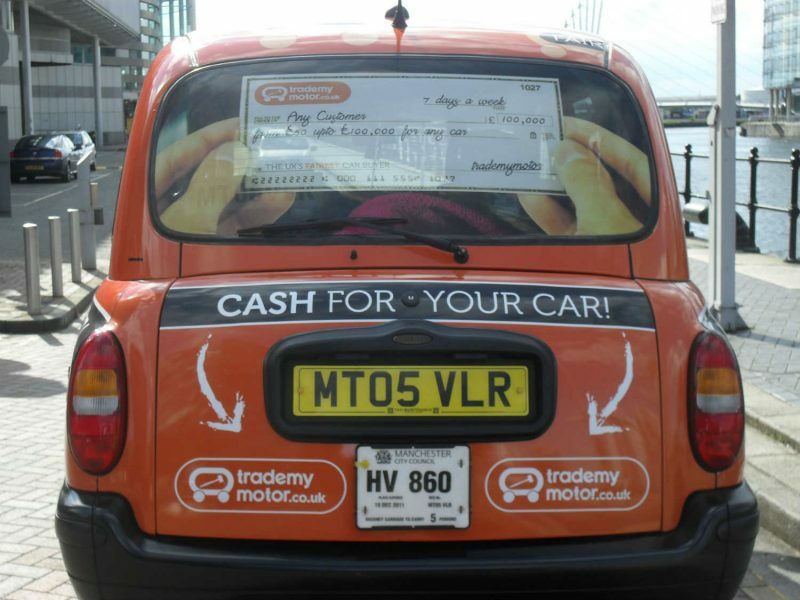 Rear window taxi advertising gives you the chance to get creative with your ads – you’ll be catching the eye of motorists behind the cab on the roads or sat in traffic, so it’s key to ensure your creative stands out accordingly. You can supply your own ad designs or leave it in the capable hands of our LTA design team who will ensure your message matches your branding.